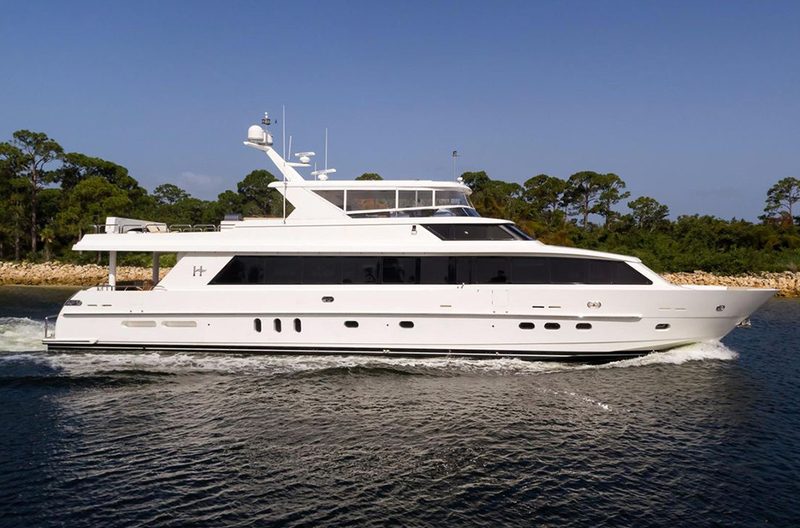 CAMERON ALEXANDER is the largest volume 100ft yacht on the market featuring 7’ headroom throughout the interior & 8’ headroom on the aft deck and sundeck. She has 2 master cabins including an on-deck master suite which is rare for a yacht this size plus a second full beam master cabin located down in the guest accommodations. 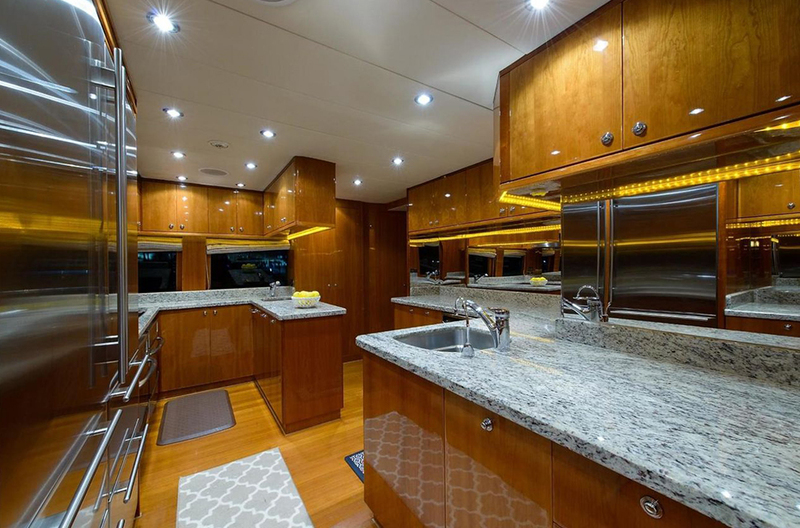 Commercial grade chef’s galley, private crew quarters for 6 has direct access to the guest cabins & galley for ease of operations. 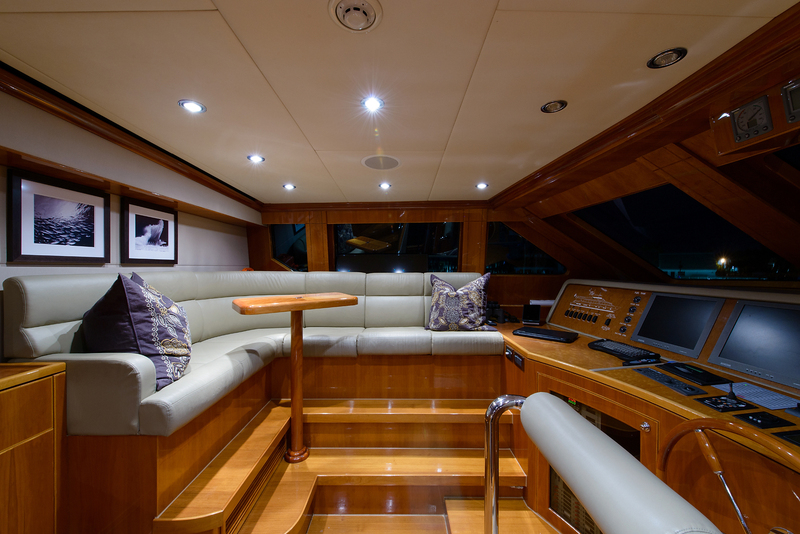 Large horseshoe style seating on the port side and a teak and granite bar with seating for four. She has a sun pad next to the hot tub and the convertible top electronically opens. 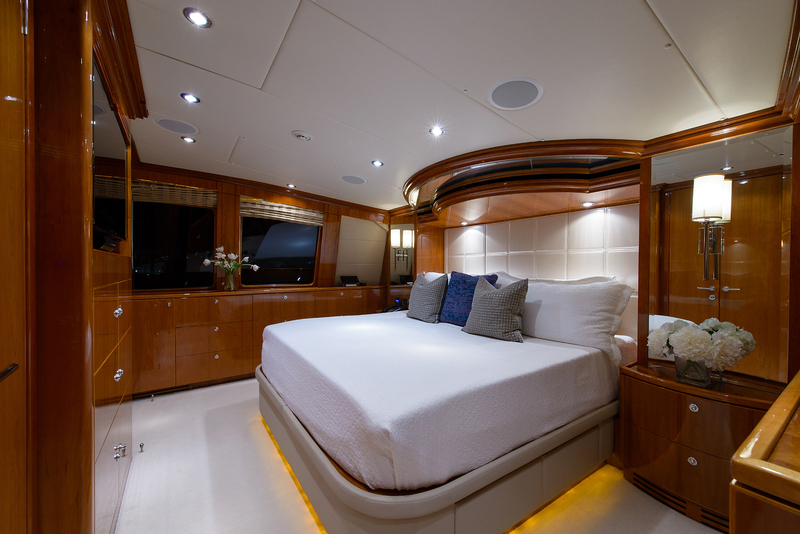 The VIP stateroom is on the lower deck. 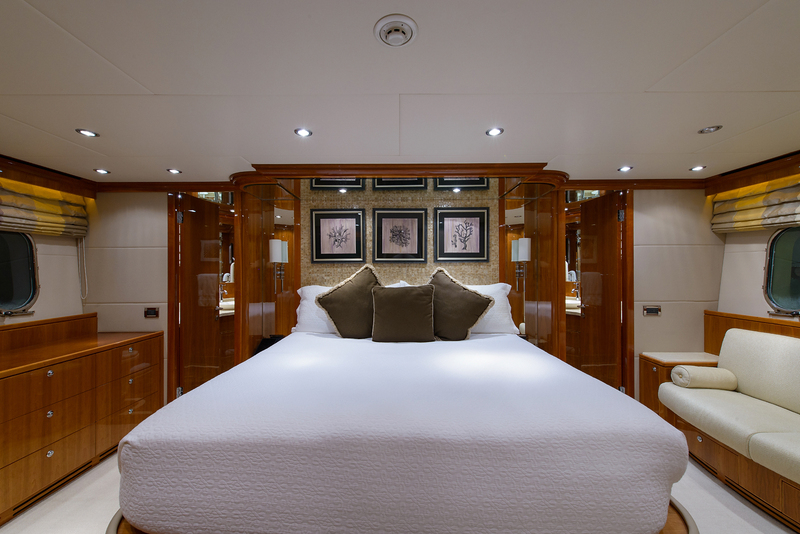 It is a full beam stateroom with a large seven-foot dresser on the starboard side and a large settee on the port side. All new linen and bedding. The king headboard wall is covered in paneling of Caprice mother of pearl shells. 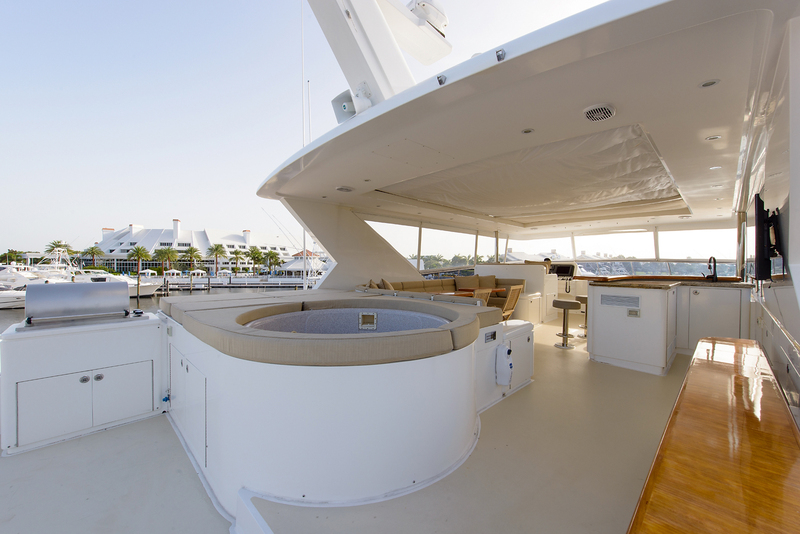 On the flybridge is a wide hot tub accommodating all guests, surrounded by sun pads. 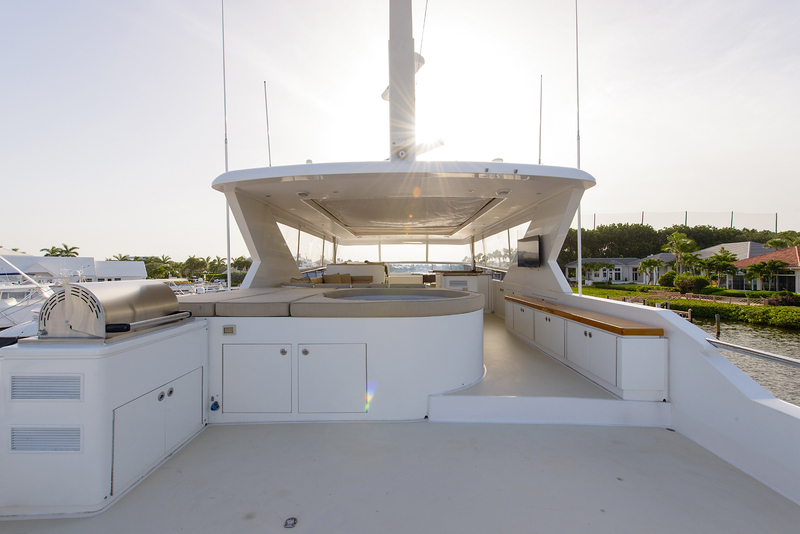 The pilothouse is the ideal location to observe the operations or spot wildlife while underway. 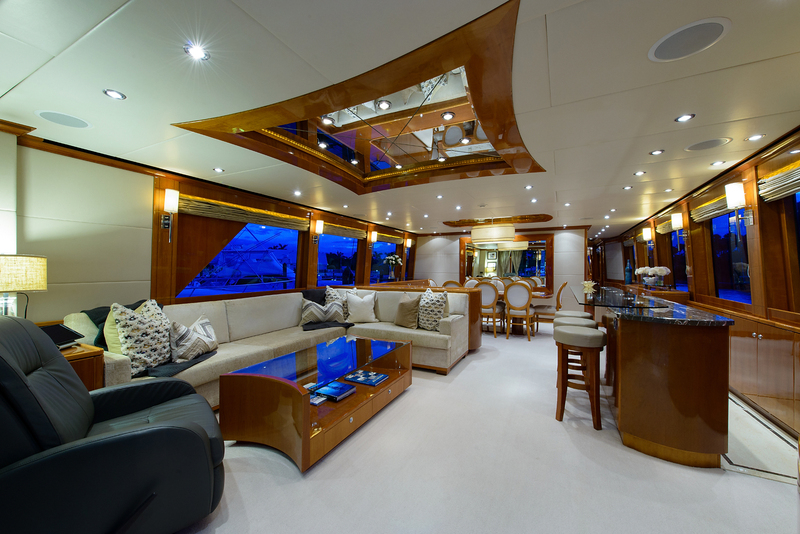 Upon entering from the Aft Deck, the 7' ceilings are immediately recognized throughout, giving the overall floor plan an open and airy feeling. Decorated in ivory, oyster, amethyst, and platinum, she projects a soothing and relaxed atmosphere. 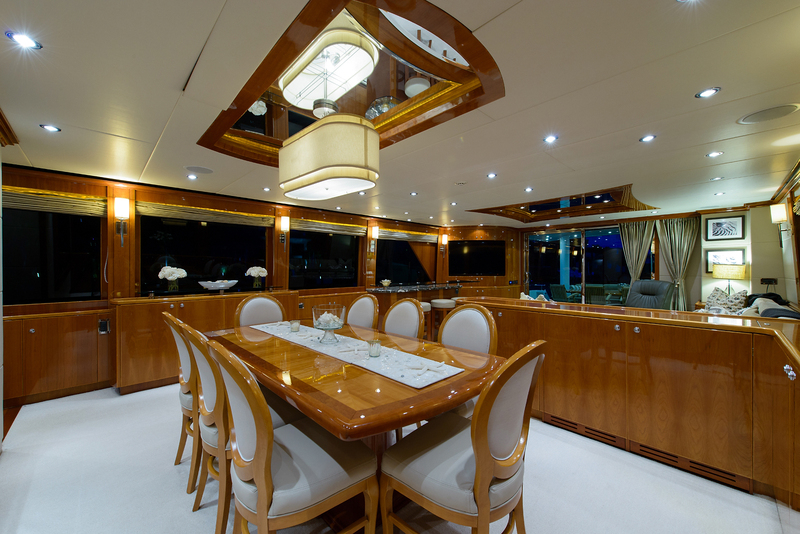 The dining table sits eight and has straight sides and large curved ends to mirror the soffit on the ceiling above. The lighting fixture above the table has a triple-layered linen shade that floods the dining area with a subtle glow. The "On Deck" Master is forward of the galley and day head and has a private entrance. It features a new TempurPedic mattress, new linens and bedding, and a new Apple 42" TV. A large (secret) storage area is found behind a hinged upholstered wall. The En-suite is flooded with light, designed with Pearloto marble, and features two vessel sinks, and a large shower.